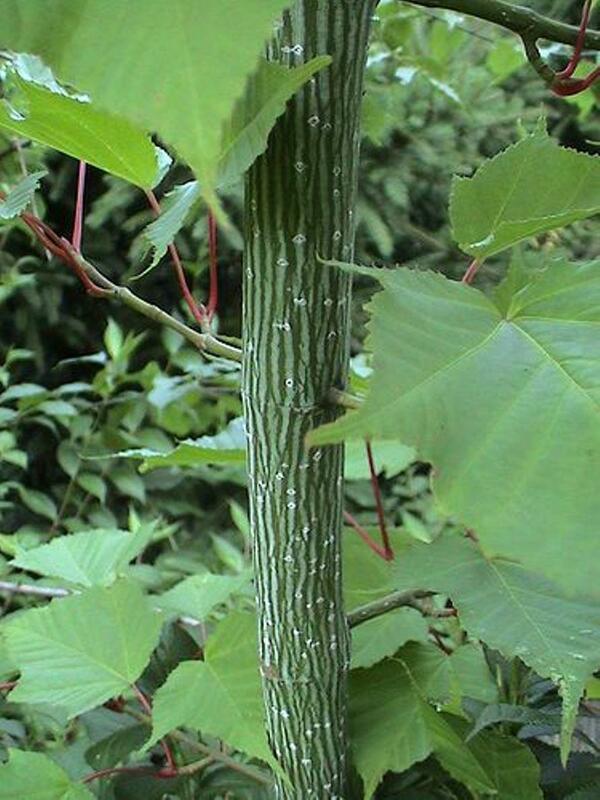 Acer rufinerve is an arching deciduous tree, with green and white striped branches of green leaves in summer. Leaves turn bright yellow and red shades in autumn. A good small specimen tree. Suitable for full sun or part shade conditions. Eventual height up to 8 to 12 metres with a spread of up to 8 metres plus.